Sanborn, NY - Sadie the 8 month old kitten goes into outer space every time she plays with her catnip mouse. 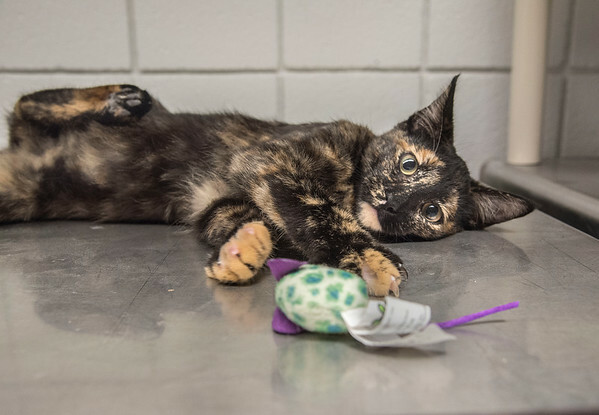 Adopt this cat and bring her down to earth! As the newspaper Pet of the Week, her adoption fee is half off too.